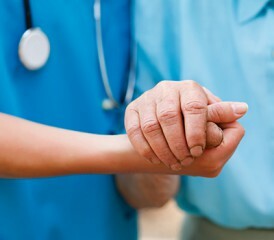 Caregiving for a spouse with mesothelioma or another terminal cancer is a huge undertaking that can include some tasks best suited for someone in the nursing profession. However, there are thousands of wives, husbands, sons, daughters and friends with no medical training who are taking on the role of caregiver, sometimes in their own homes – and their numbers are growing. Some of these caregivers manage on their own, but there are resources on the Web, as well as courses they can take to learn basics. Often, the job of caregiver comes with no warning, leaving little time to prepare for the responsibilities the role entails. When my husband, Brian, was diagnosed with mesothelioma, we were living in the coastal town of Exmouth in Western Australia, and I was happily running my own small business, The Bali Shop. I imported clothing, shoes and artifacts directly from Bali, Indonesia, and retailed them in the shop. I started my business from scratch and loved the challenge. But Brian’s diagnosis put an end to any fulfillment I had as a small-business owner. It was impossible for me to focus on anything other than my love for him and the short time we had left together. Not wanting to waste one moment of it, I put my business up for sale after four years of owning it. Thankfully, it sold quickly. Now I was a full-time caregiver, and I felt really vulnerable. What I really needed was some professional support, but the town of Exmouth did not have any cancer support services. Information I found on the Web enabled me to help Brian cope with his disease. It relieved my stress, although caregiving for Brian on my own was still a lonely and heartbreaking experience. Without professional support, I constantly struggled to remain above my grief and most of my needs were unmet. After Brian passed away, I worked with SolarisCare Cancer Support Centre in Perth. The center provides information and support to cancer patients and their caregivers. I was pleasantly surprised to learn that every caregiver who attends the center is given the opportunity to take a course designed to help them in their caregiving role. The course empowers and reinforces the caregiver, helping them gain new knowledge and understanding, while keeping them from feeling less isolated. During the five years I worked for the SolarisCare Support Centre, I spoke to many men and women who completed the course. Each told me it benefited them, especially with how it connected them to people in similar circumstances. While these courses are offered for caregivers in Perth and other parts of Australia, caregivers in the U.S. should consider researching local places that offer classes. You should check with the nearest cancer center. They might offer courses at their facilities or know other agencies or health care organizations that provide some basic classes to help caregivers.